With Easter just a hop away, PEEPS & COMPANY® products are the perfect way to fill your baskets with more than just eggs! 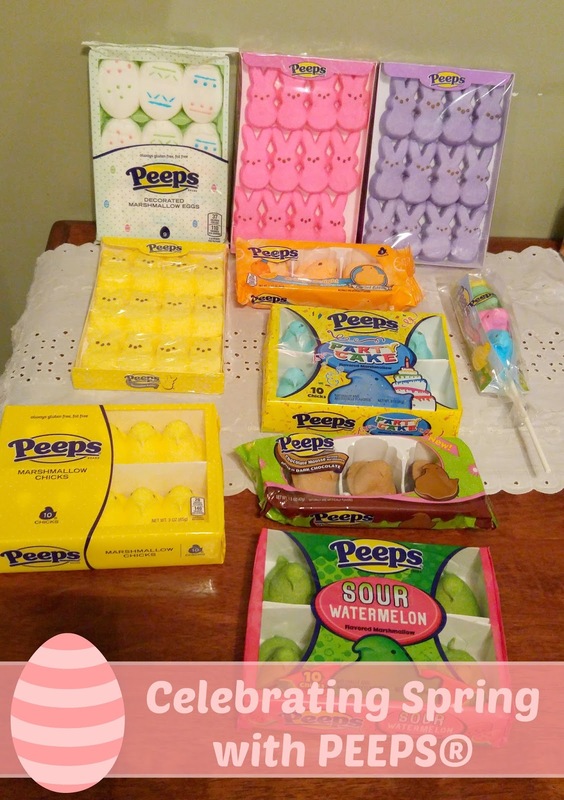 Whether you’re searching for the perfect bunch of jelly beans, or chocolate covered chicks, PEEPS & COMPANY® has you covered. Easter baskets and marshmallowy goodness from PEEPS & COMPANY® is a must! I was super excited to check out all the newest additions to the line for the 2016 holiday! PEEPS® Orange Delight Flavored Marshmallow Dipped in Orange Fudge: These three Chicks are orange delight flavored and dipped in orange fudge to enhance the flavor. Share them with your friends or keep them for yourself! 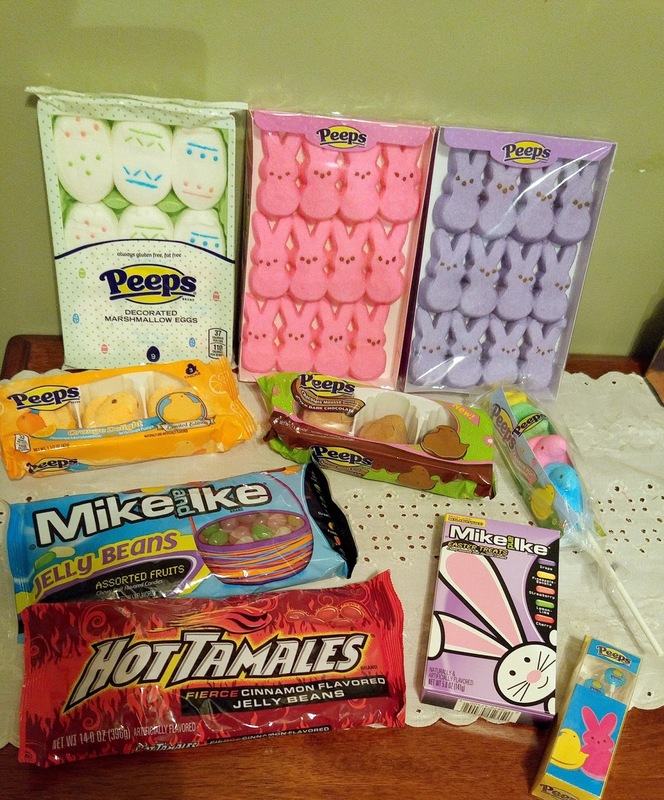 I was super excited to see Jellybeans in the line up of Easter treats! 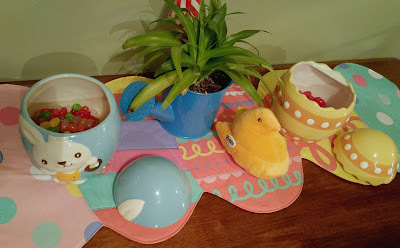 You can't go wrong with filling your Easter jars with jellybeans and puttling them on display! The MIKE AND IKE® Jellybeans are your favorite MIKE AND IKE® flavors in fun jellybean form! The fun doesn't stop there, pick up a bag of HOT TAMALES® Jellybeans and spice up Easter with this classic cinnamon-flavored jelly bean. This year not only do you have your classic shapes, but new fun festive egg shapes as well! There are so many fun flavors to choose from! Not only are they great for eating, but also in hot cocoa, on cupcakes, etc! Have a tween of teen girl who is too cool for a basket? Why not pick up some cute rain boots and fill with treats! A teenage boy in the house? Then a pick up a new sport bag, fill it with gear and of course PEEPS & COMPANY® treats! 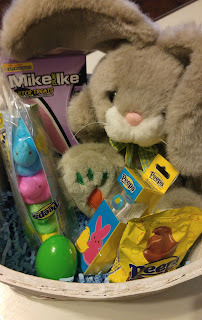 I am lucky my kids are still young enough to enjoy and want baskets! My daughter still loves getting plush animals and even thought she is a tween, she can't deny her love for PEEPS & COMPANY® treats! This year she will be getting some super cute PEEPS® earbuds, she will be rocking out to her music in style this spring break! 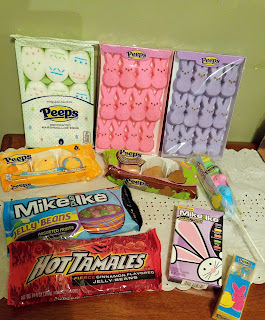 For more information on PEEPS®, MIKE &IKE® and their great selections, check out the links below.